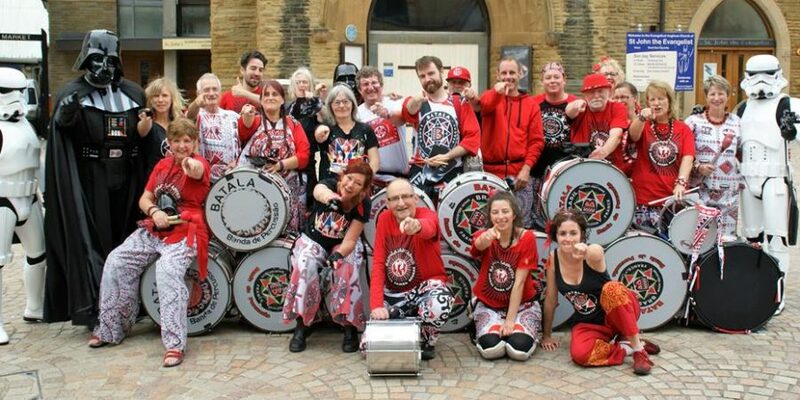 In 2017 Batala Lancaster began adopting a charity to support each year, chosen by the band’s drummers. Last year we supported St John’s Hospice, Lancaster, and we played a number gigs for them, including Morecambe and Kendal Colour dashes and our Twin Peaks challenge. Sadly, we recently lost during that year one of our drummers Ian Ward, who passed away from a long-term illness. To honour Ian’s positive dealing with the illness and his hard work within the band, we have chosen this year to support the Blue Skies Hospitals Fund based at the hospital which treated Ian, and for which he himself was a supporter and fundraiser. On Sunday 8th July we will be performing in St John’s Square, Blackpool, near the Winter Gardens between 1pm and 3pm to raise money for Blue Skies, and other fundraising activities are being planned for this Autumn.